Hi everyone! 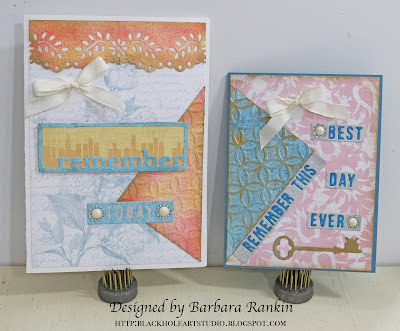 Barbara here on the Craftwell Blog with some Remembrance Cards using my Craftwell eBrush, along with stamps and ink pads from our partner, Clearsnap. The style and theme of these are perfect for making inspirational cards for gift giving, birthday, and special occasions. 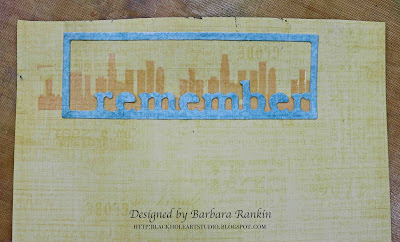 As I was making these cards, using the skyline stamp and the Remember dies, I couldn't help but think about 9-11. But on a happier note, it would be perfect to say to someone, I remembered your birthday or anniversary, and have the Best Day Ever. 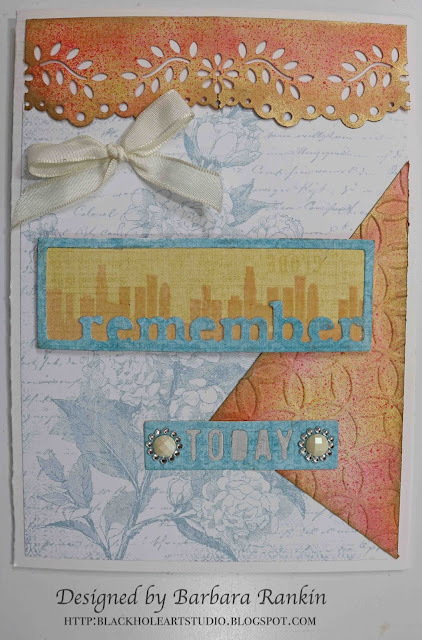 The first card is the one that reminded me so much of 9-11, but I think I brightened it up enough with sunny colors that it is quite suitable for a birthday or any special occasion. Of course, I used my Cut n' Boss to die cut several of my Teresa Collins dies. I also used her paper pad, Sweet Afternoon. I stamped the skyline image twice, in line, onto a scrap of the yellow paper with the Pink Passion ink pad. 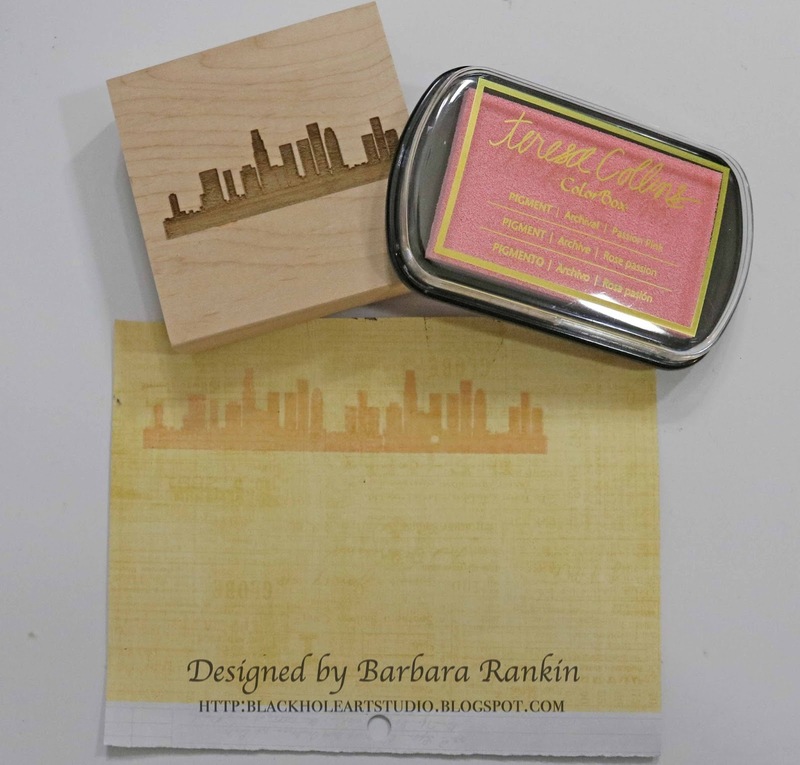 I embossed it with clear embossing powder, and it turned the images to a beautiful peach color. I think the yellow paper was helping do that. 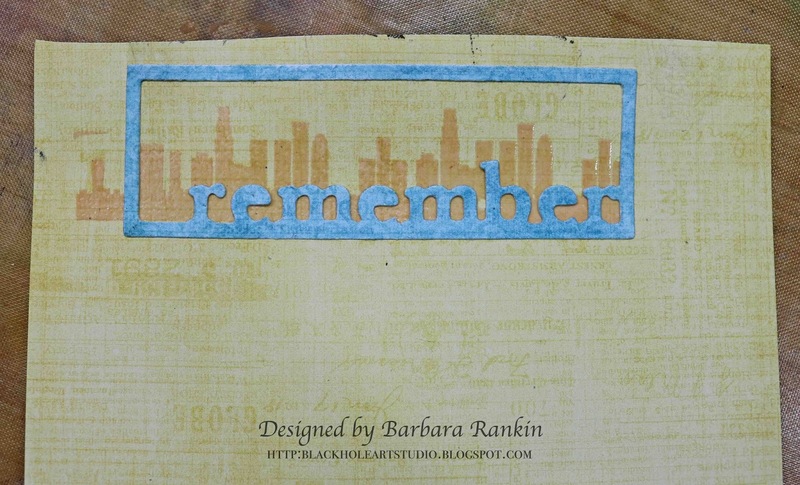 I put some glue on the back of the Remember die and adhered it over the stamped image, as shown. Then I cut the excess yellow paper from around the die image. 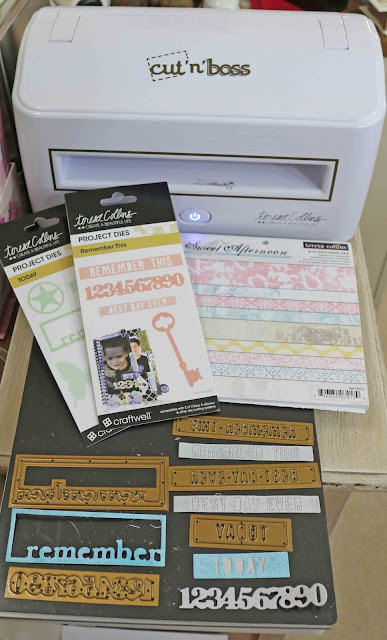 Next, I used the Teresa Collins Deco Circles embossing folder with white card stock. These embossing folders are large enough to emboss an entire sheet of 8-1/2 x 11 paper. What I don't use in my project today will be saved for later. 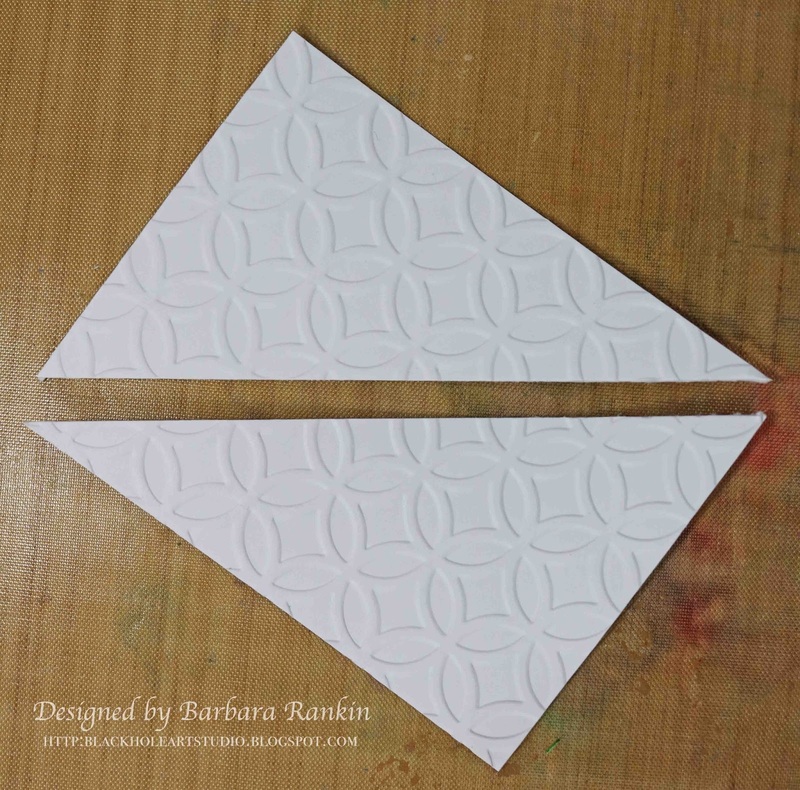 I cut a rectangle to measure 3" x 4", then cut it on the diagonal from point to point. If you want an equilateral triangle, then cut any size square first. I wanted this uneven triangle, however. Now comes the fun. 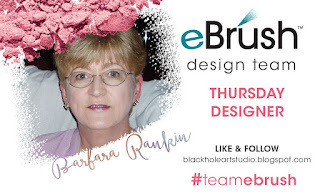 I love my eBrush because I get to make my own background papers (or embellishments) to match. 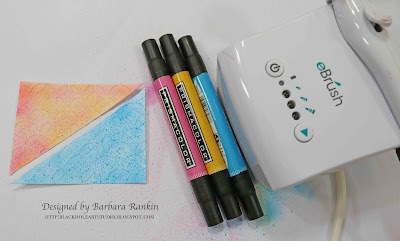 One triangle was colored with a combination of the pink and yellow marker. The second triangle was simply colored with the blue marker, leaving it darker in some places for dimension. I inked both triangles with the Gold Shine ink pad for some extra shine. I love how it turned out. It actually gave it a bit of a vintage feel. 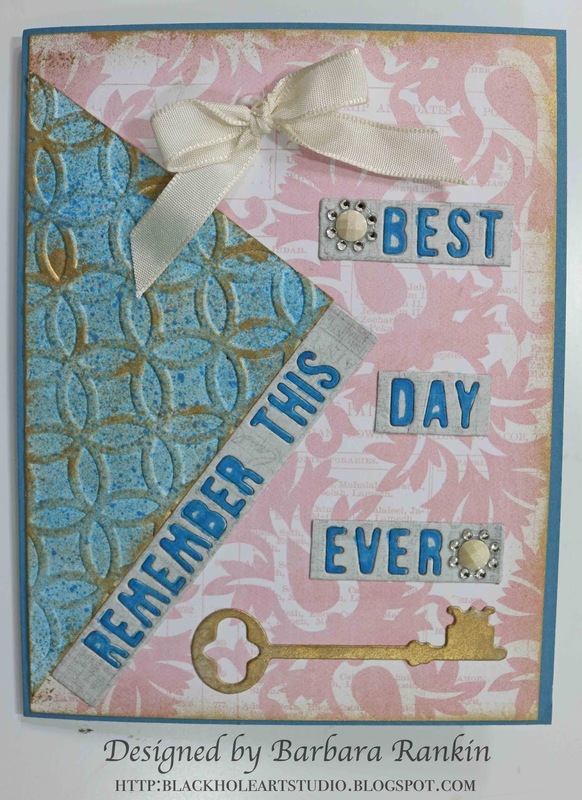 When all was finished, I added my pieces to the card front, as shown in the finished photo above. The second card was really fun and simple, too. The papers were adhered to the card front, as shown, along with a bow and some bling. The die cut key was cut from blue card, but inked with the Gold Shine ink pad. You'd never know it wasn't cut from gold card. 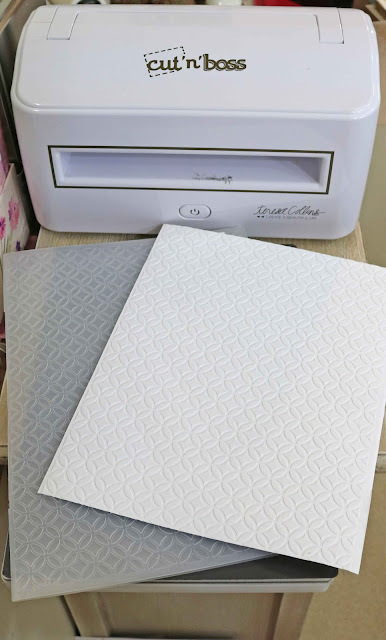 A little tip to share: When you cut your dies with the removable alphabet, such as these, but you want to keep them in tact, before removing the paper from the die, lay a piece of scor-tape, or any double sided adhesive with a paper liner on one side, over the back of the paper. When you remove the label/letters from the die, the alphabet remains in tact, and you have a ready made sticker with the adhesive on the back. Fun? There will be more fun projects featuring the Clearsnap., so make sure to check out the Craftwell Blog all month long for more inspiration from the team.